James Macfarlane, shipowner, was born in Glasgow on 2 September 1844, the son of Andrew, a surveyor, and Lillias, née Alexander. James was educated in Glasgow and at the Bruce Castle School near London. He then worked for eight years with Redfern, Alexander and Company, shipowners and merchants of London. His brother John worked in the same firm. In 1870, the brothers migrated to Tasmania, where they took over the business of Askin Morrison of Hobart. Macfarlane Brothers and Company became the ‘leading shipping firm in the colony’, acting as agents for many companies. In the early days, they imported sugar, largely from Mauritius, but later became agents for the Colonial Sugar Refining Company. On 21 April 1874, James married, at All Saints Church, Hobart, Anna Wilhelmina Wilson Young, the daughter of a bank inspector. They had two daughters, Lillias Anne and Heatherbel. Anna died on 30 July 1895. By then, both Macfarlane brothers were among the leading citizens of Hobart. James was a Justice of the Peace, chairman of the Hobart Chamber of Commerce and Vice-Consul at Hobart for Sweden and Norway. He was also a fellow of the Royal Geographical Society and of the Royal Colonial Institute. He was known as a keen golfer and was founder and president of the Newlands Golf Club, established as a nine-hole link on his estate of ‘Newlands’ in Augusta Road, New Town. In 1901, he was elected to the Senate as a Free Trader. He was re-elected in 1903, but defeated in 1910. Macfarlane contributed to debate on a variety of issues in the Senate. He was conspicuous in his opposition to the White Australia policy. Asking what had happened to the concept of the brotherhood of man, he argued that ‘the alien and stranger is viewed with jealousy, prejudice, and dislike, more because he is little known, than from his infirmities’. He could see no evidence of large numbers of Asians wanting to come to Australia and considered discrimination on grounds of race, colour or place of birth to be contrary to British traditions. He referred to the hypocrisy of the dictation test , which would be used to exclude unwanted immigrants, and which was not an education test since any language could be used. He thought that the Kanakas (particularly those who had been in Queensland for five years or more) should not be forced to leave. He expounded on this by saying that there would be few who wished to remain and they would be no threat to the Commonwealth, or they could be sent to New Guinea where it should be possible for them to grow sugar. Macfarlane firmly believed that white men could not work in the tropics without ‘a serious deterioration of our race’. He opposed exclusion of coloured crews from mail ships arguing that such a policy could in no way affect the achievement of White Australia. 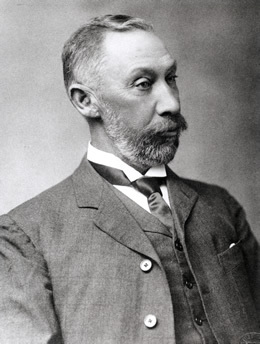 Though not one of the most frequent speakers, Macfarlane took an interest in measures regulating trade and industry, often claiming to speak as an experienced businessman. He would have liked to reduce all customs duties to 15 per cent and often argued for reduction on specific items. He saw the tariff as benefiting the two more prosperous states (New South Wales and Victoria) and giving no compensation to the economically ‘smaller’ states for the loss of revenue they would suffer through increased consumption of locally made goods. In 1903, he was prepared to support a motion in favour of old-age pensions, though he believed it would be many years before revenue was available and he opposed moves to amend the Constitution so that revenue from specific taxes could be appropriated for such purposes. He was worried lest ‘those who are naturally thrifty should be discouraged in their thrift by any idea that the State will provide for them’. Macfarlane considered the Conciliation and Arbitration Bill of 1904 a ‘class’ measure, stressing that ‘the community generally have their rights, just as much as have the Labour organisations’. His asserted objection to the Bill was that it was ‘an attempt to give a minority power to control the majority of workers’. He lamented that the Bill ‘provided that preference shall be given not to a majority alone, but to members of organisations making an application to the Court’. While approving the prevention of strikes through conciliation, Macfarlane believed that other parts of the Bill were ‘unconstitutional’ and as such the Bill ‘ought to be referred to a Select Committee’. He felt the Senate must ensure that the Bill did not cover state public servants for ‘as the States House we ought to uphold States rights’. Macfarlane was also opposed to the Australian Industries Preservation Bill, believing that it would not prevent monopolies or the dumping of goods onto the Australian market. He particularly objected to the power given to government through officials to determine who could become liable to investigation under the Bill. Macfarlane believed the proposed legislation diminished the rights of individuals by the need to prove innocence rather than being innocent until proven guilty. Macfarlane welcomed legislation, such as that governing bills of exchange, that provided for uniform business procedures throughout the country. However, at other times when proposed legislation attempted to produce uniformity that directly affected specific Tasmanian industries, Macfarlane willingly embraced a less national perspective. He warned against regulations under the Commerce Act which, by imposing requirements on labelling, and stacking on the docks, added to the expenses of poorer producers. He worried particularly about the growers of fruit and potatoes in Tasmania. He was always interested in improving communications between Tasmania and mainland Australia by telephone, cable and ship. During 1901–02, he was a member of the select committee on steam-ship communication between Tasmania and the rest of Australia, which recommended that a daily mail service be established and that tenders be called for a six-day a week steam service. Though wishing to improve the service, he was opposed to government operation or ownership of steamers. Macfarlane also served on the royal commission on the Navigation Bill. With three other Free Traders, he signed a minority report which argued that it was futile to adopt any general standard for the manning of ships, considering that this should be decided in particular cases by committees representing employers and employees. The report expressed concern lest ships from the rest of the Empire be excluded from the Australian coastal trade: ‘At a time when the people of the British Empire are seeking means to testify to the unity of national relationship, it would be more than regrettable if the Commonwealth of Australia excluded the ships of the rest of the Empire from the small coastal traffic …’. In a further minority report by Macfarlane alone, he disagreed with the majority of members on the committee that it should be illegal to give rebates of freight on condition of shipment by certain vessels. When he died in Hobart on 24 November 1914, the Mercury wrote of the ‘very severe loss’ Hobart had sustained by his death, and described him as one of Tasmania’s ‘leading and most successful businessmen’. The Cyclopedia of Tasmania, vol. 1, 1899, Maitland and Krone, Hobart, pp. 317–318, 280; Mercury (Hobart), 25 November 1914, p. 3. CPD, 13 November 1901, pp. 7184–7185, 5 December 1901, pp. 8302–8303, 8308–8309, 29 November 1901, p. 8022, 10 September 1902, p. 15857, 13 November 1901, p. 7185, 11 December 1908, pp. 3138–3139. CPD, 7 May 1902, pp. 12351–12352, 2 September 1903, p. 4460, 21 October 1904, p. 5903, 2 November 1904, p. 6334. CPD, 21 October 1904, p. 5903, 4 November 1904, p. 5638, 21 October 1904, p. 5904, 2 November 1904, p. 6334. CPD, 15 August 1906, pp. 2815–2818, 11 October 1907, p. 4599. CPD, 18 July 1907, pp. 664–665, 30 August 1906, pp. 3626–3629. CPD, 12 July 1901, pp. 2462–2463, 26 July 1901, p. 3120; CPP, Report of the select committee on steam-ship communication between Tasmania and mainland Australia, 1902; CPP, Minority report of the royal commission on the Navigation Bill, 1906. CPD, 9 July 1909, p. 1052. Mercury (Hobart), 25 November 1914, p. 3. This biography was first published in The Biographical Dictionary of the Australian Senate, vol. 1, 1901-1929, Melbourne University Press, Carlton South, Vic., 2000, pp. 236-239.